Water is referred to as the liquid of all life forms. Water is used for drinking, bathing, for agricultural purposes and many more day to day activities. Additionally, it is the most abundant molecule present in our body. Life would not have been the same on earth without water for every life form. But, most importantly without ice it would not have been possible to sip through your favourite cold drink or iced tea on a scorching summer day. The life and energy that the drink imparts to us is unexplainable. But, how many of you have been inquisitive about the unusual property of ice floating on its liquid form? Why does ice float on water? If these were cubes of solid argon in a cup of liquid argon, they would sink. Similarly, the same thing would have happened for other substances. But, somehow solid water (ice) is less dense than liquid water. How’s that even possible because we have the notion that the solid form of any substance has greater density than its liquid form and hence would sink. The concept that we learnt is that when we increase the temperature of any substance, there is an increase in kinetic energy and the particle exhibit more random motion, taking up more space. On reducing the temperature, particle bounces around less and becomes more compact. But, water displays an anomalous behaviour. Water molecule is made up of two hydrogen atoms bonded to one oxygen atom, strongly joined to each other by covalent bond. Oxygen is electronegative and hydrogen is slightly electropositive in nature and so there is a dipole-dipole interaction between the hydrogen and oxygen molecules of water. Water has a very special kind of interaction between molecules that most other substances don't have and it is known as the hydrogen bond. Hydrogen bond is a weak bond that occurs between a pair of unbounded electrons from another atom (oxygen, fluorine etc.) and a hydrogen atom. In a single drop of water, hydrogen bonds form extended networks between trillions of molecules and these molecules are constantly breaking and reforming. However, below 4 degree Celsius, the K.E of the water molecules starts to fall below the energy of the hydrogen bonds. Therefore, hydrogen bonds form much more frequently than they break and a structure is formed because of the bond formation. 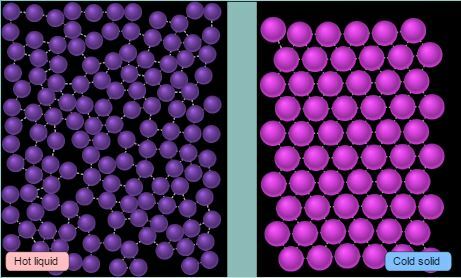 Opposite charges attract and pull the molecule into a set of orientation, but similar charges repel each other causing the molecules to spread out. Therefore, a crystal lattice is formed and spaces the molecules farther and farther apart. The ordered hexagonal structure is less dense than the disordered structure of liquid water. Hence, ice displaces a volume of water and floats on it. It is recommended not to put glass bottles filled with water in the freezer. Over time as the water freezes, it will expand and the glass will shatter. The anomalous property exhibited by water in its solid state allows the survival of aquatic life forms in the icy waters. The density of water increases as its temperature is lowered until it reaches its maximum density at 4o C. As the temperature decreases from 4o C, water expands (increase in volume) and becomes less dense until it freezes at 0oC. The less dense layer floats on the surface and freezes at 0o C while the lower layer remains at 4o C. This keeps the marine creatures safe. 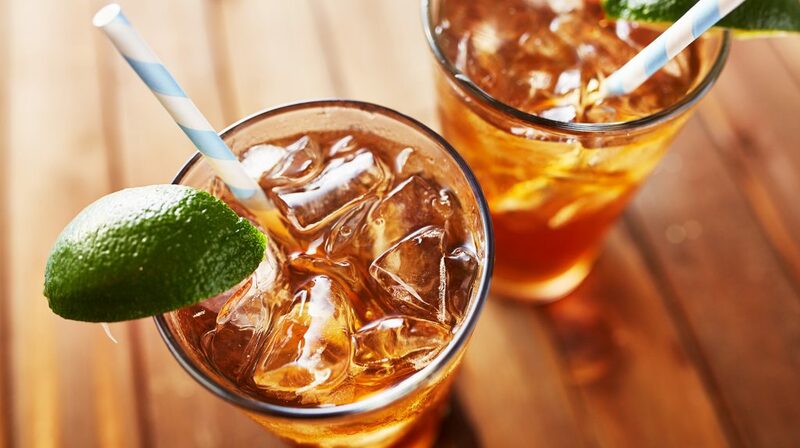 Net time you are relishing iced tea with your friends, do not forget to explain this interesting science to them.